What does assisted living in Brooklyn, NY mean to you and your loved one? that is licensed and regulated by the New York State Health Department, means having confidence knowing that they will be in a comfortable, safe & secure environment. In the state of New York, Assisted Living communities provide services to five or more unrelated seniors. These communities offer personalized care services, room & board, some housekeeping, physical and speech therapy and home health resources for your elderly or disabled family member. In New York, assisted living communities render special individualized service plans, that are customized to meet each residents individual needs. These particular service plans provide residents with comfortable and respectful care that promotes dignity, autonomy and independence. In the 1990s assisted living as it exists today started as an alternative to elder care. These communities are for elders who cannot live independently, and do not require constant care provided in a nursing home. Assisted living communities provide long term residential care and promote independent daily lifestyles. These assisted living communities also provide assistance with seniors daily activities. Other states may use similar terms to describe assisted living which include personal care, adult family home and board & care. There are 7 assisted living communities in Brooklyn that may be a correct fit for you and your family. See below or click to view a list of the assisted living facilities in Brooklyn, Ny. 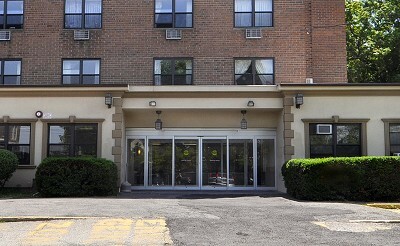 Assisted living residences in Brooklyn vary in size. These communities can range from small residential care home settings to large and grand communities, all offering the same personalized care services for your loved one. Brooklyn is the largest borough in New York City located on Long Island. Neighborhoods within Brooklyn include Bay Ridge, Clinton Hill, Brooklyn Heights, Manhattan Beach and more. Brooklyn host sites and attractions such as The Brooklyn Bridge, Prospect Park, The Barclays Center, Coney Island and more. Brooklyn is sure to meet the needs of you and your loved one.